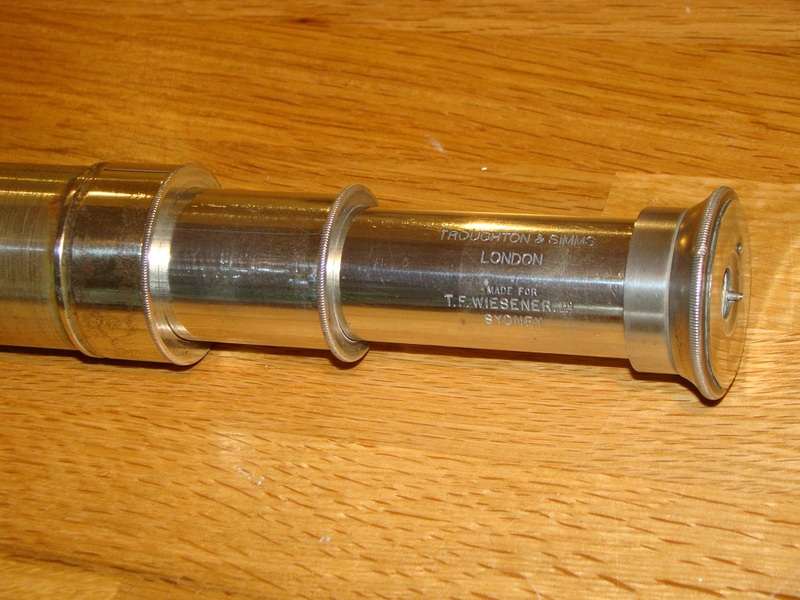 The name Troughton and Simms means this telescope came from a good maker. Because it does not have the Cooke name as well, it presumably was made between 1824 and 1922. 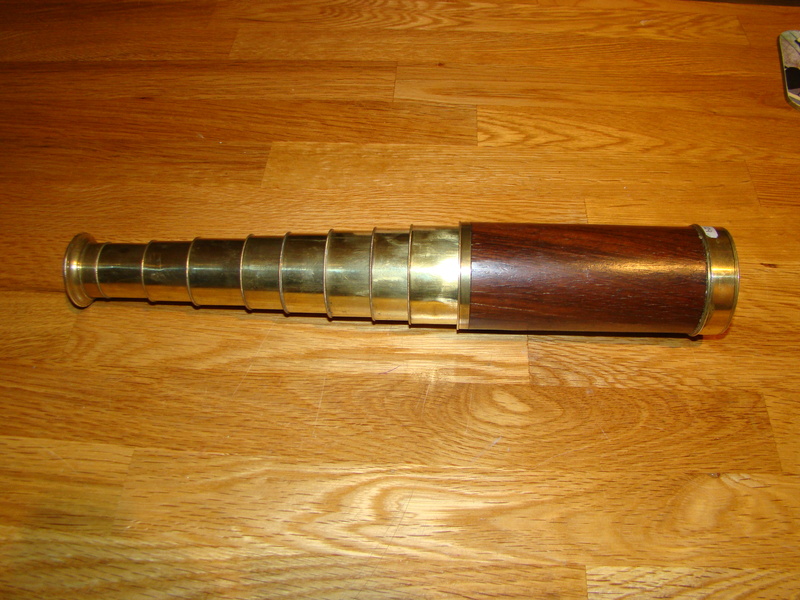 The previously described presentation scope from Troughton and Simms, engraved for Captain Beattie in 1862, was similarly plated (although that one was not plated on the main covered area of the barrel): as a presentation telescope to a ship’s captain, that was presumably plated with actual silver, and designed for “Officer of the Watch” duty, and was a single draw design, which seemed to be the accepted pattern for naval use. However this two draw telescope also is possibly intended for ship-board or ‘Officer of the Watch’ duty. In addition this telescope is engraved as supplied by T F Wiesener Ltd of Sydney, Australia, which means it was presumably intended for sale for shipboard use, as in that era Sydney would have been mainly focused on the sea trade. But the two draw design here makes it different to the single draw design of the Capt Beattie telescope, and not the classic design adopted later (1900+) as a naval or ship’s officer’s scope, that had a single draw, but a shorter body length than Capt Beattie’s. 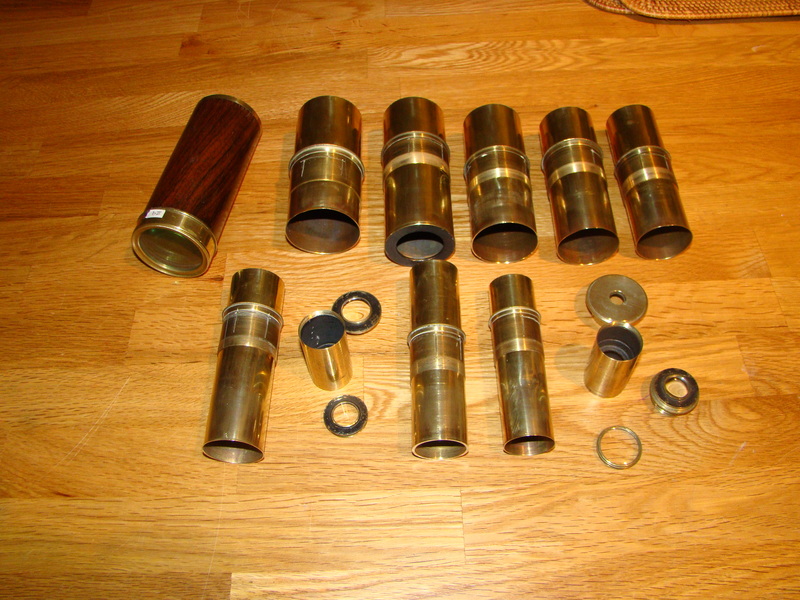 Notably the T. Cooke + Sons telescopes, that I have not yet recorded, are of the classic single pull design for ‘Officer of the Watch’ duty. These must have been built and supplied before the merger with Troughton and Simms, which was in 1922, so were possibly dating from 1900-1920. 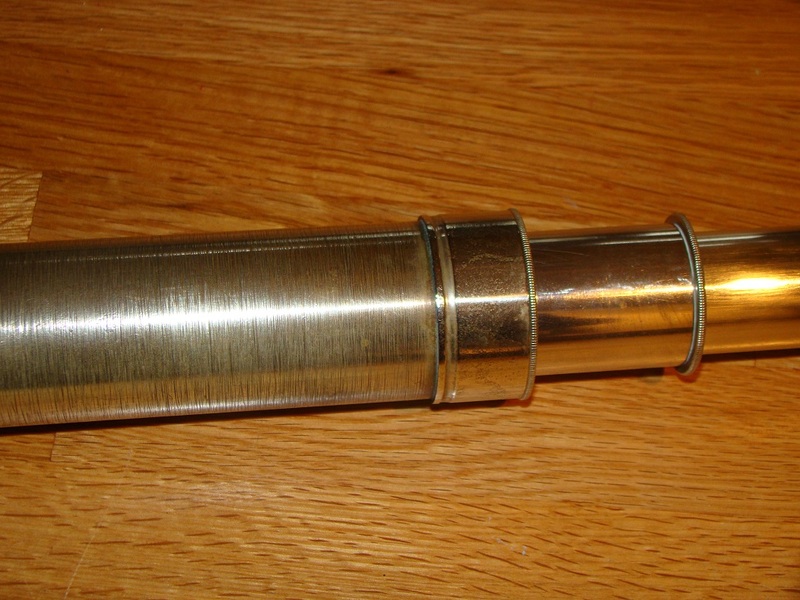 The whole body of this telescope is plated, in what could be silver or chrome – or possibly nickel. Inside the main body and the other tubes is blackened, after the end of the internal screw threads on each section, which are also plated. 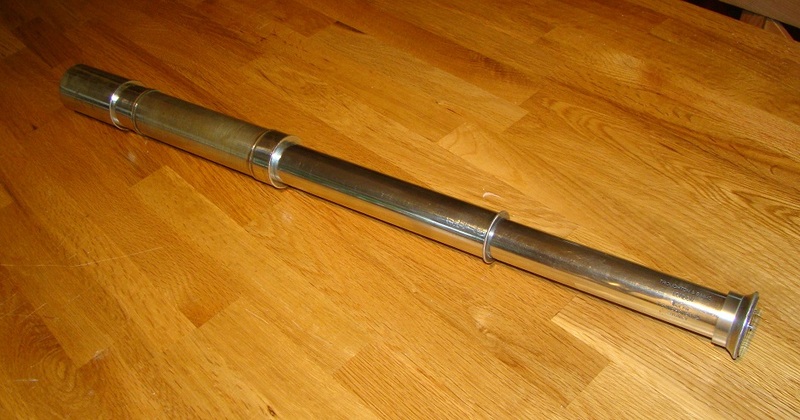 The barrel is missing a body cover, for where the left hand would hold it: this part of the body has a fairly rough machined surface at the moment. This would presumably have been covered with either leather, or a wooden veneer, or webbing/string. I think it was probably leather covered, and will plan to replace this. 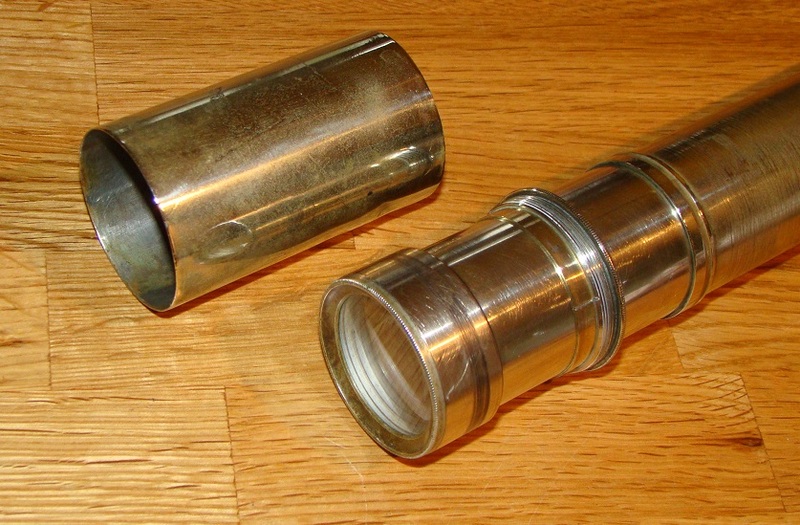 There are two draws, and a flat eyepiece design. 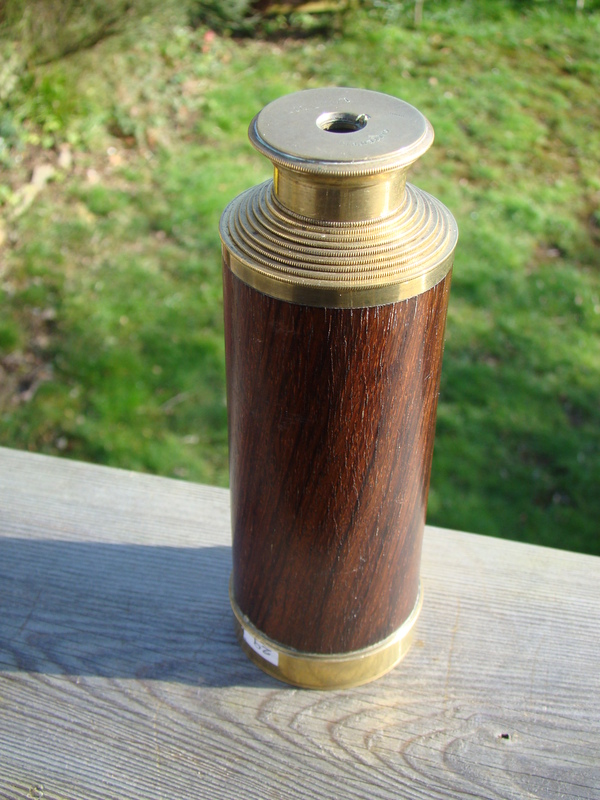 This eyepiece was a typical Troughton and Simms style, as can be seen on other models from them – they did not use the bell shaped eyepiece common to other makers in Victorian times. There is a sunshade on the objective, and a flap cover over the eyepiece hole, which uses a typically large screw. 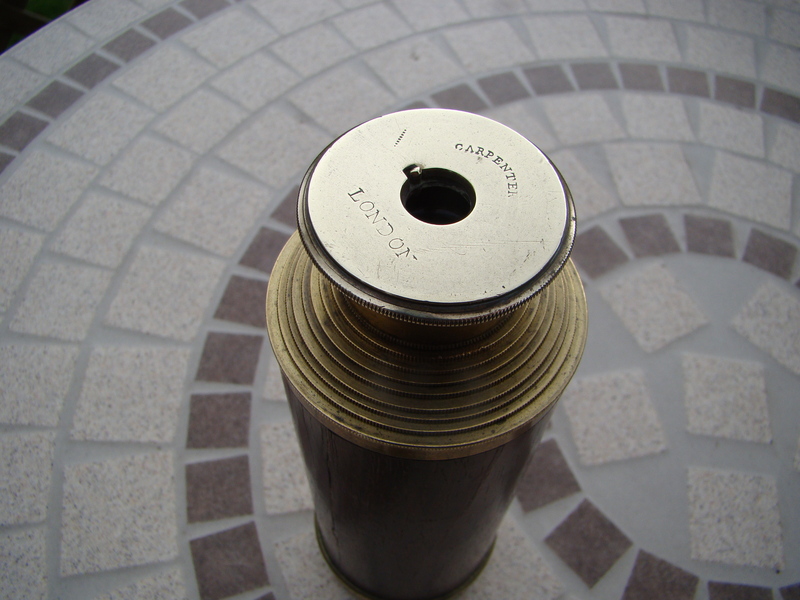 The main barrel is very small in diameter, compared to the objective lens. The lens has a special adaptor to join it to the main body/barrel. This caused me a lot of confusion when it was first dismantled for cleaning, as the adaptor seems to be there to increase the thread size available at the end of the main body, to accept the objective lens assembly – it really seems like a design afterthought. So I spent a long time trying to fit the lens to the end of the main body itself, which it just did not quite fit! Total length fully open is 25”, and closed it is 10.5”. The objective lens is 1.375” dia, and the lens hood 1.75”, but the barrel is 1.375”. T F Wiesener is quoted in Sydney newspapers between 1888 and 1913, as a scientific instrument maker, jeweller and optician. He was located at 334 George Street, between the GPO and Hunter Street. One press cutting from 1889 actually mentions the sale of telescopes. Wiesener was presumably an authorised reseller of Troughton and Simms instruments. What this does show, is that the shop was a major store aimed at the general public, not just a marine chandler. So there is the possibility that the telescope might have been on sale to offer it to passengers or tourists voyaging back to the UK, rather than ship’s crew. The TF stands for Theodore Frederick, who was born near Hannover in around 1854. He died in 1897. The shop traded in his name from 1870-1918, but he was appointed an agent for Troughton and Simms only in 1890. 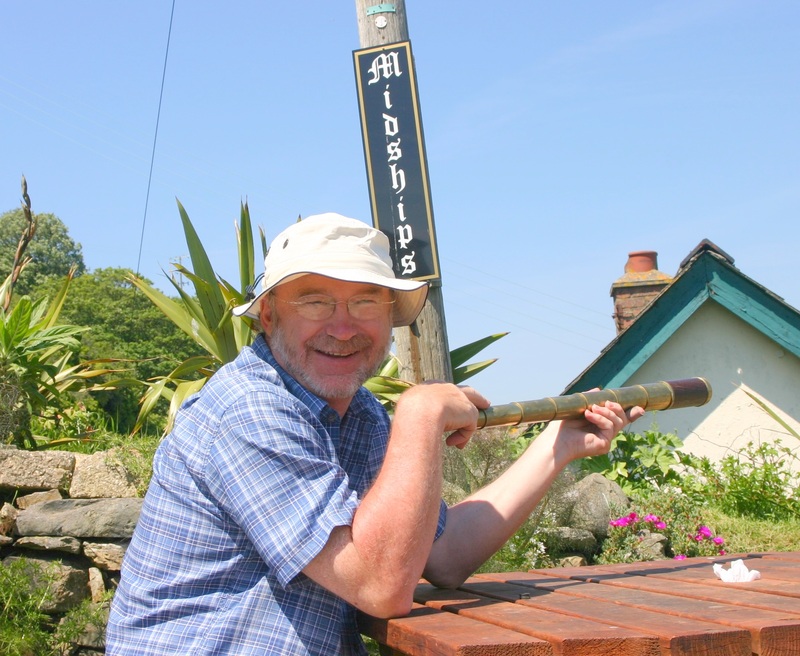 The telescope was found on Ebay in July 2008, and supplied by Alison Otterbeck from Chaffcombe in Somerset. In fact it was sent because of my error to my daughter in Cornwall. It did not work well on receipt, but by reversing the lenses in the eyepiece assembly, the view was significantly improved. The air pressure inside the scope when closing it was noted as significant, making it difficult to close. The telescope seems to work best with the flint (convex) glass on the rear side of the objective doublet, which is not normally the case. I think this is intended as an expensive looking telescope for a Gentleman traveller, rather than a member of the ship’s crew – unless of course the crew was an officer on the equivalent of an Ocean liner, but in the 1890-1905 sort of era. The telescope is similar in design to the Ross two draw telescope that will be described later, which was more modern, and was maybe designed as a sporting scope, for spotting deer or whatever. Not sure. It’s a good maker, well made, and works well. It is difficult to polish up, but does not tarnish significantly, so it is a good display item. I could clad the barrel in a modern leather covering, but have resisted doing that for several years, as a change too far. It’s still a good presentable, quality, named example, 120 years old, traceable to Australia. So it must be worth £450, to anyone with an Australian connection. It is now for sale to anyone interested.